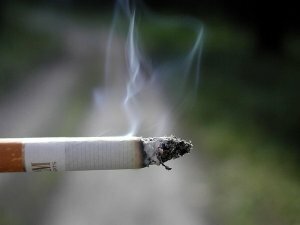 Smoking May Worsen Acne Scars? Although it is already widely known that smoking has a negative impact on your skin, new research has found that it may particularly affect those who have suffered from acne, as it has been found that it makes skin scarring more severe in people with spots. The study is the first of its kind to suggest a link between acne and scarring, and was presented at the British Association of Dermatologists’ Annual Conference. A team of dermatologists examined 992 people suffering from acne vulgaris, the most common type of the disorder, first noting the severity of their acne and any lifestyle factors which may affect the skin, including smoking. Although scarring itself was not more common in smokers, it was found that a higher percentage of moderate to severe scarring was noted in those who smoked. While 35% of non-smokers showed moderate to severe scarring, over half (53.7%) of those who smoked also showed this, and appeared to be independent of the severity of the initial acne. Acne is caused when the sebaceous glands, which produce oil, are more sensitive to usual to normal blood levels of certain hormones, which leads to the glands producing an excess amount of oil, which leads to an environment more attractive to acne bacteria, causing them to multiply and create spots. If you face problems with acne, giving up smoking may be one of the ways you can prevent long-term damage from happening to your skin. One of the best ways to cut down on or quit smoking is to switch to e-cigarettes, which replicate the experience of smoking without all of the dangerous and harmful chemicals. Visit our website for a great range of electronic cigarettes for sale, as well as e-liquids, refills and accessories. « Smoking May Play a Part in Schizophrenia?